Jonathan Rea showed he will be a serious contender this weekend in Qatar by clocking the third fastest time during the opening free practice. 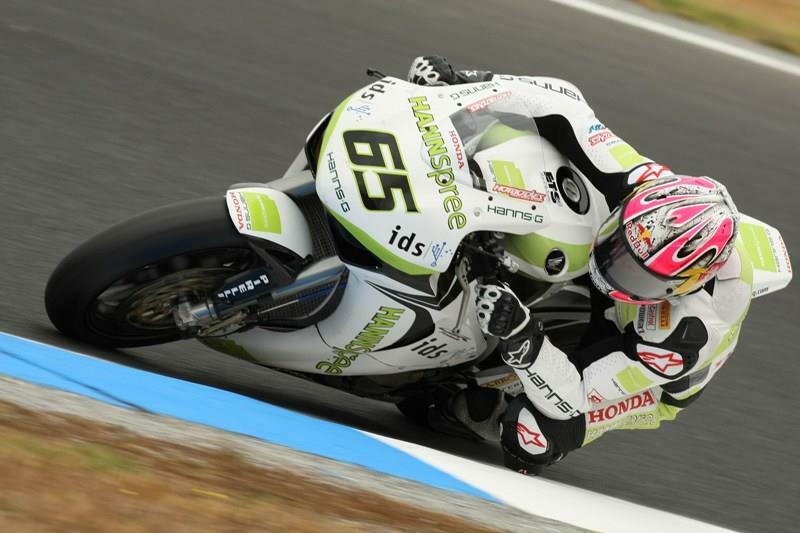 Rea who struggled with tyre issues two weeks ago in Phillip Island remains confident that his Hannspree Ten Kate Honda will work much better in Qatar and spent the hour long session making improvements to his setting. Speaking to MCN he said: “It was a steady start and we're doing ok. The bike is working well already and we're just bedding a few things in. "I did a little run of laps which went well, but we were getting a bit too much weight transfer and too much backing in. "We actually raised the back of the bike, which should actually make the backing in worse, but we upped the pre load on the forks and the balance is better now. Rea was also given extra motivation by his Honda team-mate Ryuichi Kiyonari who also ran at the front eventually finishing in fourth.